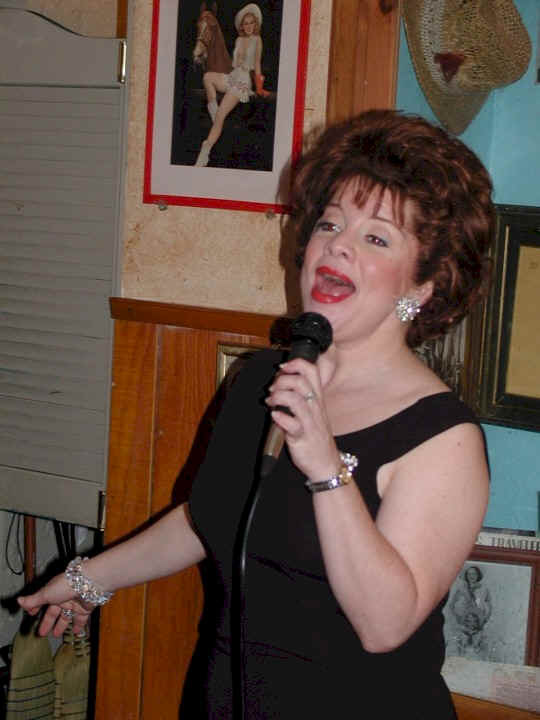 Broadway and regional actress Renée Lawless Orsini (Beauty and the Beast; Ellis Nassour's hit revue Always, Patsy Cline), 2002 St. 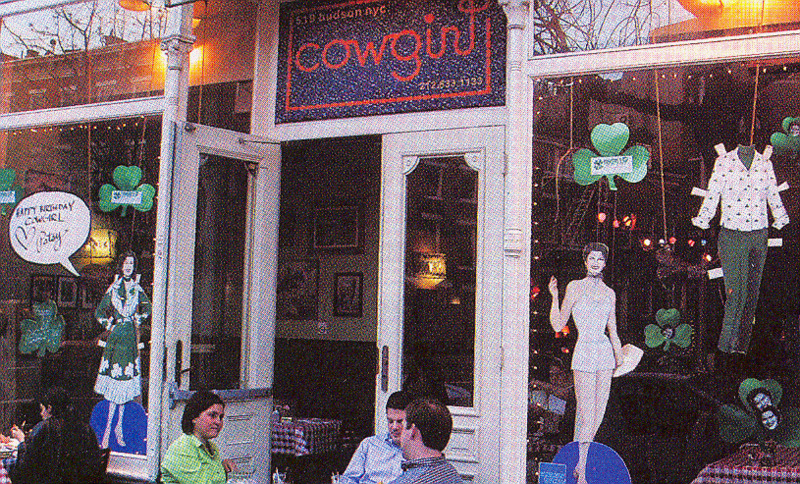 Patsy's Day winner, 2002, with Johnnie Ray, a Cowgirl partner. 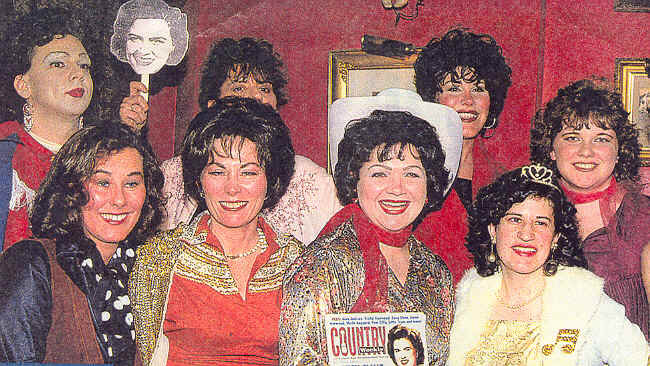 A dozen Patsy fans entered the Patsy Cline Look-A-Like Contest kicking off the 1993 launch of Ellis Nassour's biography Honky Tonk Angel. 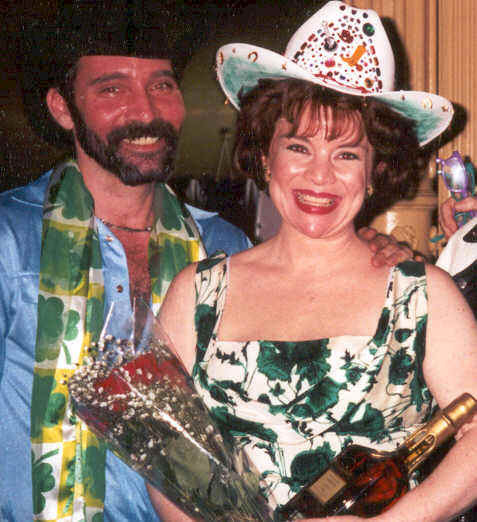 Pictured with Ellis, is winner "Rita Menu." ROSE GALLERY: From Left, the incredible Myra Schiller of Cowgirl; singer Debbie Dangerfield, who won in 2000; and Holly Bendewald of Whiskey Dust Western Wear, one of our annual sponsors. Debbie and Holly were 2004 judges. 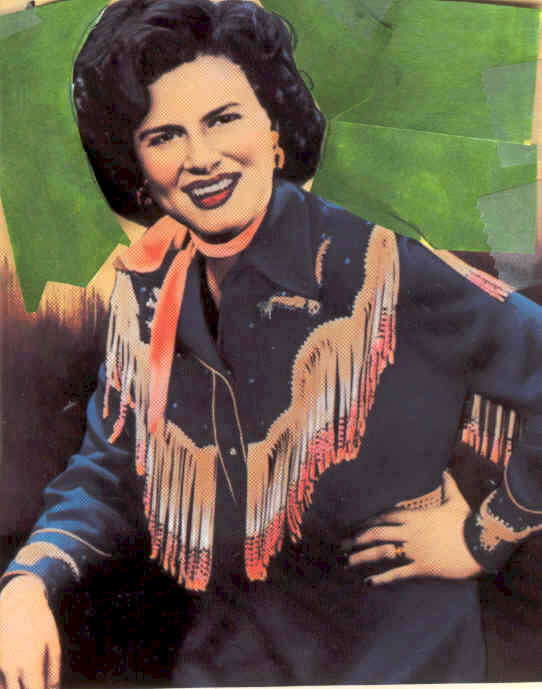 WILL THE REAL PATSY CLINE STEP FORWARD? 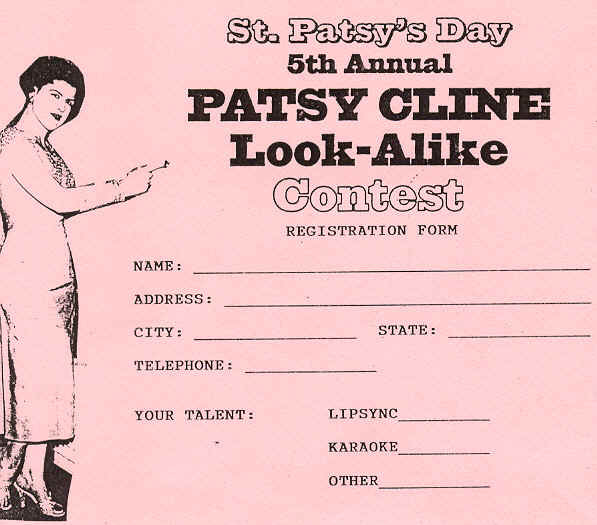 Audience pays tribute to Patsy Cline at the 1995 St. 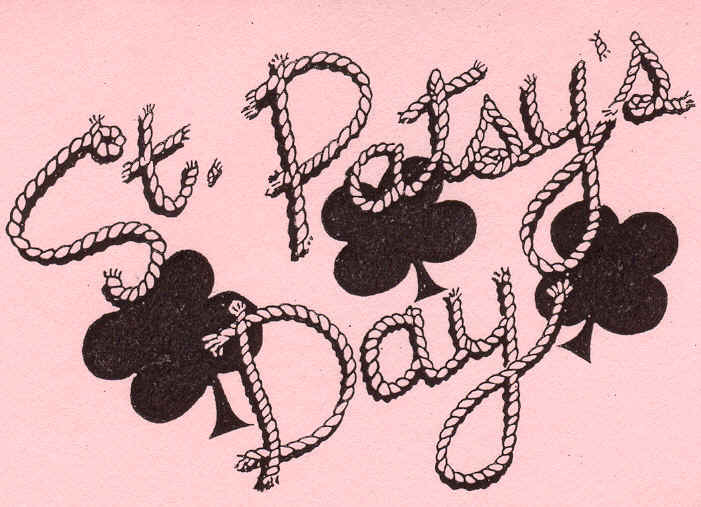 Patsy Day event. Lulu, a.k.a. 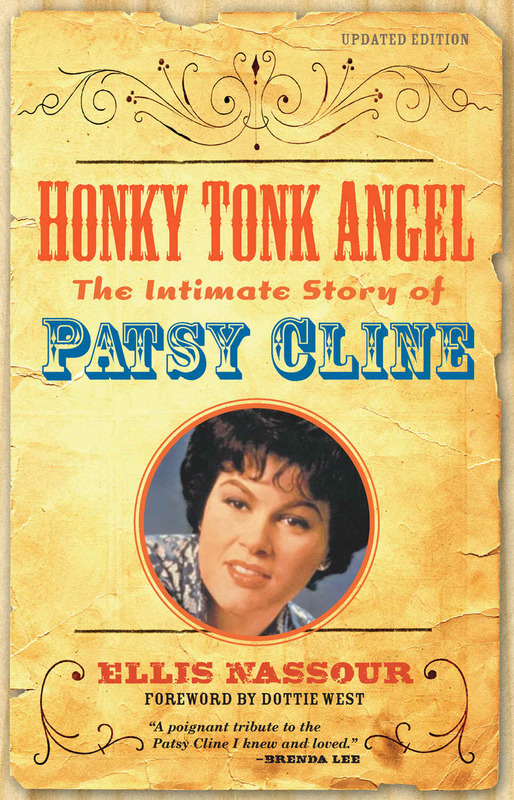 Todd Tomorrow (Broadway wardrobe supervisor) as Patsy hosting the 1993 St. Martin's Press launch of Ellis Nassour's new hardcover Patsy Cline biography Honky Tonk Angel at Cowgirl. 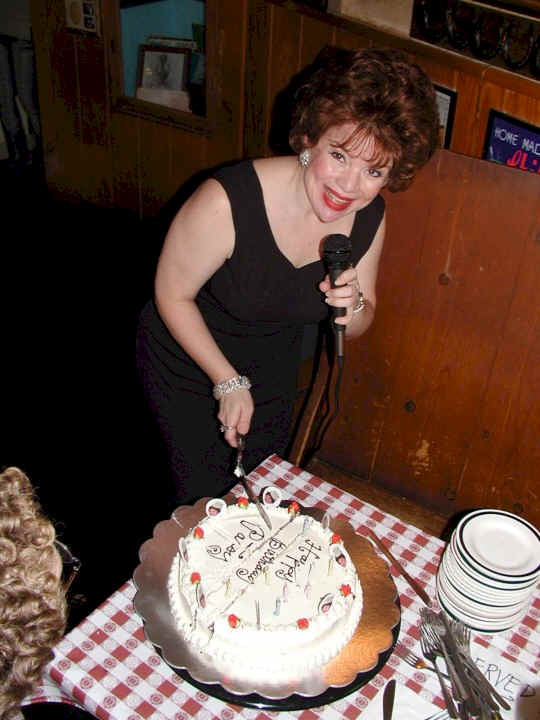 Lulu was the 1990 winner. St. 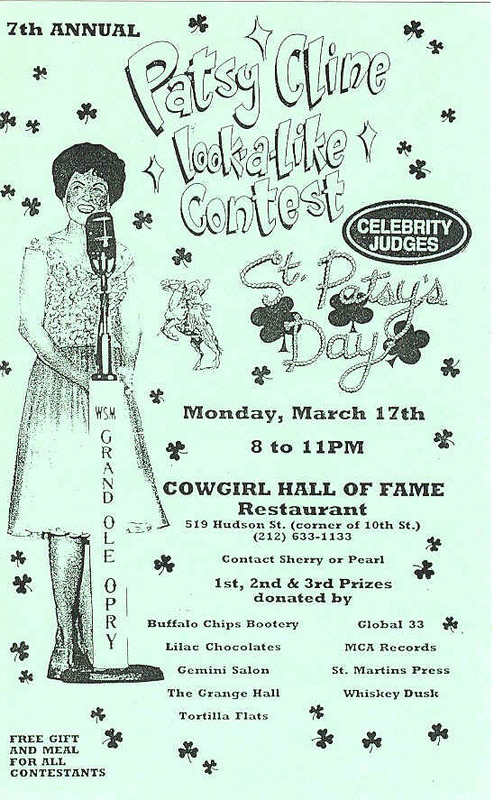 Patsy's Day, 1995: Among the contestants are singer/actress Julie Zimmerman (1st row, second from left), winner; Donna Gora (center, holding Country Weekly), Runner Up; and Tommy Stephan (2nd row, far left), third place. and Tons of Laughter ! 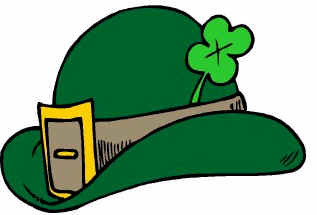 for 100 fans. A Champagne toast followed. Renée Lawless Orsini, winner of the 2002 St. 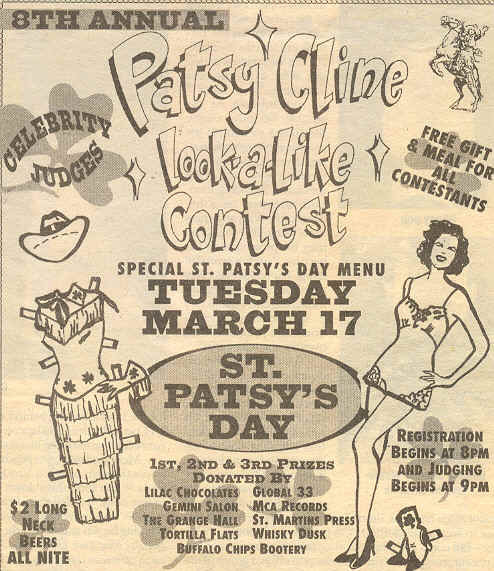 Patsy Day event [wearing earrings and broach that once belonged to Patsy Cline! 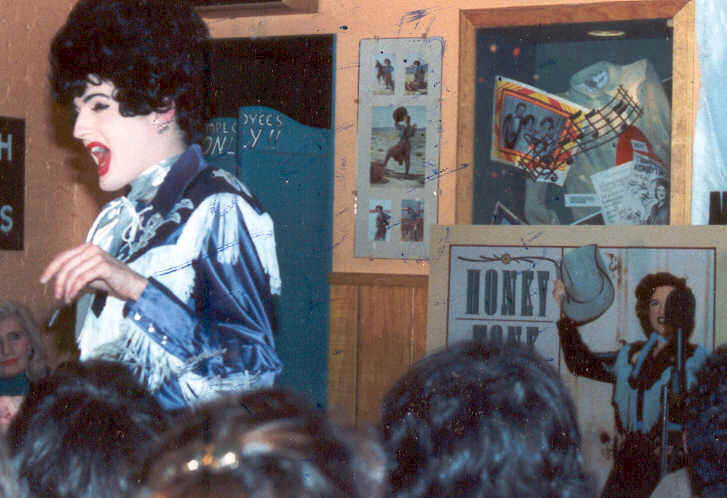 ], with Ellis Nassour (right), author of Honky Tonk Angel and co-host [with St. Martin's Press and MCA Records/ Nashville], and Johnny Ray of Cowgirl. 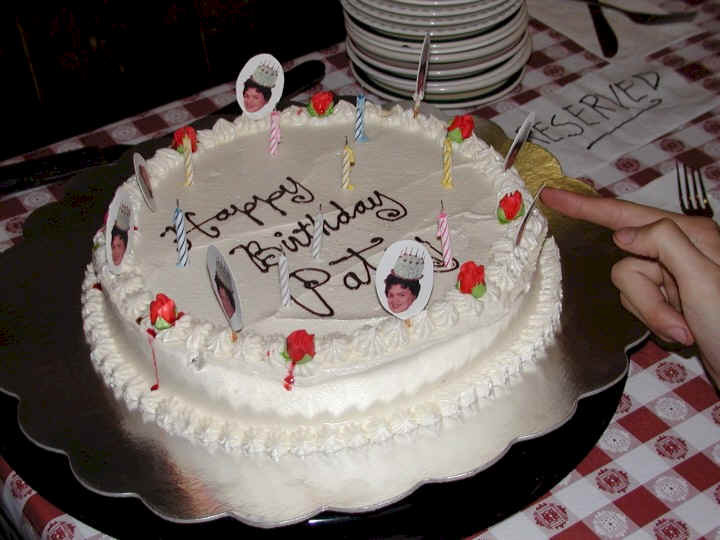 Patsy was not there to blow out the candles... Renée cuts Patsy's birthday cake.